Haltom City pool service is a great way keep your pool clean and inviting all summer or all year. When you take good care of your swimming pool, you protect your investment in your pool and home. 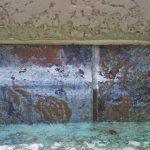 A well-cared for pool can be a real plus for your life and home, but if it’s neglected, it quickly becomes a nightmare! A poorly maintained pool harbors algae, bacteria, mosquitoes, water bugs and more. Hiring a good weekly pool service will save you time and money! 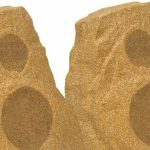 Your Haltom City pool service professional will notice problems and take care of them right away with all the right resources and materials close at hand. Your Sun Valley pool service professional will discuss your options knowledgeably and help you make good choices when it comes to upgrades and repairs. *Fallen debris, leaves other foreign objects that could damage your water quality and block your pumps. *Discrepancies in water levels. Low water can cause your pump to overwork. High water levels caused by *rain or flood can skew your pH and chemical levels. *Algae overgrowth. This is both a symptom and an indicator of problems with your pool. *Improper pH and chemical levels. Imbalanced pH and chemical levels cause algae overgrowth which is unsightly, unhygienic and damaging to your pool systems. All the necessary chemicals for routine maintenance are included in this weekly pool service. 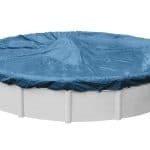 *Problems with pool equipment and systems. By monitoring this closely, your Haltom City pool service professional can stop problems before they begin. *Skimming the surface of your pool. With Sun Valley weekly pool service in Haltom City, you can make sure all systems are â€œgoâ€. This thorough check and service will help you avoid repair bills! Developing a good working relationship with your pool maintenance professional gives you a safety net when things go wrong. 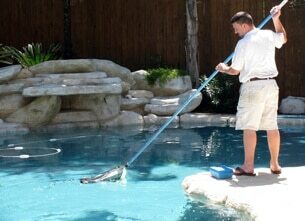 You will always have a trusted professional to turn to in the event of unexpected pool problems. Sun Valley Pool Service has been offering the best in weekly pool service in the DFW area since 1982. Sign up for our free e mail newsletter to find out about the benefits of choosing professional pool service in Haltom City TX. Enjoy professional service from a business that proudly displays an A+ Better Business Bureau rating and holds a membership in good standing with the Association of Pool & Spa Professionals. Members of Sun Valley Pool Service Haltom City TX team of expert pool cleaning service professionals are held to the highest standards in licensing, insurance and certification as required by the State of Texas. It just makes good sense to call Sun Valley Pool Service when you are looking for professional weekly pool service in the DFW area. Weekly pool service is only a click or a phone call away! Sun Valley Pool Service in Haltom City, TX is eager to help you get the very best from your pool and spa. We like to have happy clients, and we know that nothing will make you happier than have a clean, sparkling trouble free pool to enjoy as you please!